Question: How many environmentalists does it take to change a light bulb? Answer: Ten. One to write the light bulb a letter requesting that it change. Two to circulate online petitions for permission to change it. One to file a lawsuit with PETLF (People for the Ethical Treatment of Light Fixtures) against its owner for the harsh treatment of light bulb. Two to organize a rock concert in benefit of the dead light bulb. Three to do scientific studies on how changing light bulbs may affect global warming (sorry, I mean climate change). And one to finally stage a sit-in to protect the light bulb from ever being changed. Next question…so why am I, one of the top high school science teachers in our nation, not green? How could a science teacher who knows so much about the world we live in not be green? Or worse yet, how could a Christian who has been given this world by God not be green? These are absolutely great questions and something I have thought about long and hard. The way most people propose this issue is what I believe to be a false dilemma. What I mean is that the issue is usually presented in a way that only shows an either/or result and I don’t believe this issue is either/or for the science teacher or for the Christian. I do believe that most Biblical Christians, as well as myself, are anti-“green” but I do not believe that most Biblical Christians are against being wise stewards of the earth. I believe the Christian must be a good steward of God’s resources but has a Biblical worldview that gives them an understanding that this world is only temporary and should not be worshipped as mother earth. If you trace back the history of the “environmental science” movement in the last 40 years you will find some peculiar trends from the environmental fanatics. 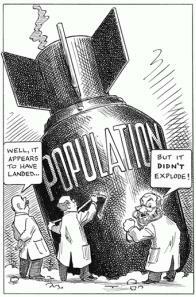 In the mid to late 60’s, a book called The Population Bomb revived concerns about the impact of exponential population growth. It panned out that these theories were flawed and the movement morphed into another perilous theory. Next was the anti-nuclear activism due to Three Mile Island. I think nuclear energy has definitely shown its worth in cost and safety over the last 30 years. Then it became ozone in the 80’s. Bogus again. Acid rain. Bogus. Global warming due to carbon emissions…oops, they changed that one to global climate change. Bogus, bogus, bogus. We had a group in front of our Congress proposing the Kyoto Protocol in which America would have to work with the UN on climate change to stabilize the world of greenhouse gases. This Protocol was based on counterfeit data with huge political agendas with an astronomical pricetag. We had a Christian stand in front of Congress and show that with just about half of the money it would cost America to join this Kyoto Protocol we could give every person on the planet a water filter system to clean every person’s water from decontamination. See, these people who push for “green” things are not concerned with people living with clean water but are concerned with power, money, and ultimately serving themselves or the creation and not the Creator. I would even go as far as to say that the main people in charge of the “green” movement are some of the worst stewards of this world. So, I believe that we as Christians should be good stewards of this world that God gave us, but keep in mind that it is temporary and should not be worshipped but admired in place of the Lord of Lords. Also, Christians must be discerning over the next “epidemic” and look at people’s motives and agendas. When God created everything we have, he did it in a successive order of importance. He first created the heavens and the earth – pretty important start. Then he created light which was more important. 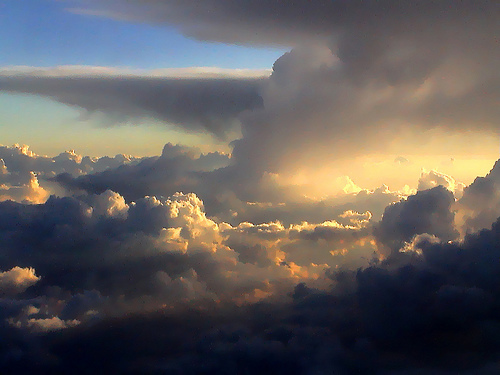 Then he created the waters and the sky – more important. Land and water separation – more important…vegetation, sun and moon and stars, water creatures and birds, then land animals. Each more important than the last. Then man – the most important to God over all creation – none of the others will be in heaven (except for a couple white horses for Jesus). Then finally God’s very important creative act – woman. I see the “green” guys having it backwards. Man and woman are least important in their eyes where through macro-evolution man has no true meaning at all in life – a primordial accident. And they take God’s value and flip it in order of importance. This world is not good any more but according to the second law of thermodynamics, it is cursed and deteriorating. This world is temporary and the praise of the Lord is the only thing that will last forever. Paul here is specifically addressing people abstaining from eating certain foods and saying that this world has been created by God for us to exhort Him and thank Him in everything we eat since it has been ultimately been given to us by Him. But be clear that the fall has tainted all of creation and with sin brought death and the need of a Savior. According to the Bible, Jesus will come back one day and after judging the world in righteousness, He will restore the Earth to its original creation. And those that repent and put their faith in the Lord Jesus Christ will live on that Earth and glorify Him for all eternity. Then and only then, will God’s green Earth be good.